We are a translation office, provide services to media and carry out studies on issues reported in media. Managed our team of professionals, Attilio Danieletto as well as by its own creator, we consistently make an effort to enhance the way. DConsult help you protect the right of your employees by providing you with a diverse range of consultation and assessment services. Our team accumulates 20+ years of experience managing and operating business process and IT delivery centers serving different countries in the world. Investment Banking Boutique since 1999, M. & A. 's, valuations, feasibility studies, corporate finance, financial engineering, Nilex IPO Sponsorship. We are a leading firm dealing with unique investors . 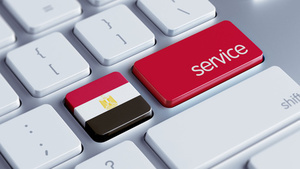 we are facilitate your needs with all Egyptian gov. sectors. Help, focus & brought targets. Join Australia's largest Cleaning franchise, Jim's Cleaning Group. We offer a complete ‘turn-key’ business that allows you to build your own empire. Pro Wet & Dry is a Northern Beaches carpet cleaning and upholstry cleaning business with a passion for quality and customer service. Vive for Consultancy S.A.E offers a range of services in the fields of sales,marketing,human wellbeing,health care,seniors and child care and others. A Sales, Marketing, & Management Consulting & Training Office. We achieve business results for small, medium and large Companies. Sell MORE with US.